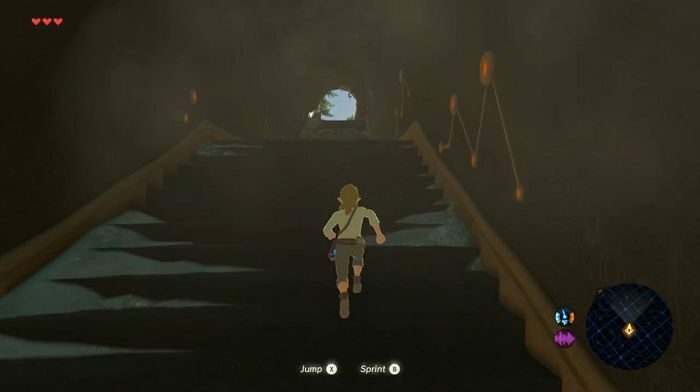 This section contains a walkthrough for the first location, the Shrine of Resurrection in The Legend of Zelda: Breath of the Wild. This portion of the walkthrough orients you on the basics of surviving the Kingdom of Hyrule. It should familiarize Link with the different materials, important items, and the environment. The game starts with a cutscene which awakens Link, the hero finds himself in an unknown chamber. 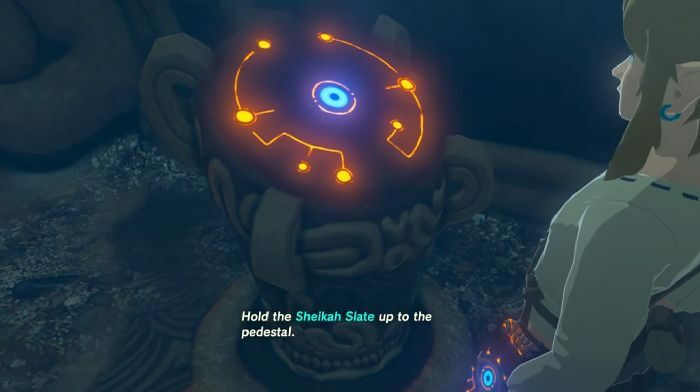 As you begin, examine the pedestal to find a Sheikah Slate. This is an important item which enables Link to get his bearings as it features a map of the overworld, a viewfinder, and grants the user the chance to utilize Amiibo and Runes. By obtaining the Sheikah Slate, it reveals a path through the farthest door. Get through to find a hall, check the treasure chests nearby to obtain some Armor. Exit the Shrine by interacting with the pedestal, it will be by the locked door. 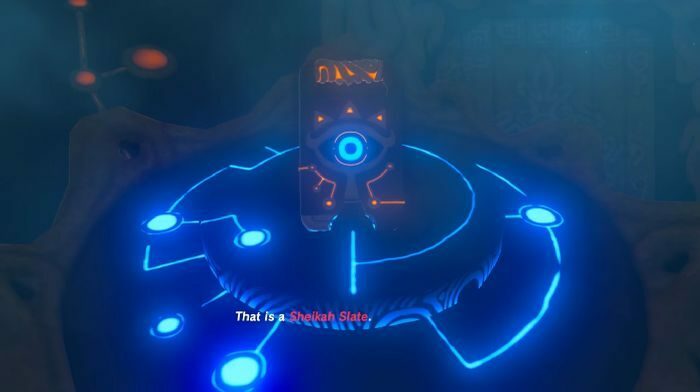 A mysterious voice instructs you to put the Sheikah Slate on the pedestal, this will open a path for you to exit. Once you exit, you’ll find yourself on the Great Plateau. Tilt to the right to find someone who might be able to help. Pick up the Tree Branch lying on the ground. It does not look too sturdy, but it’s better than nothing. Make sure to grab as much weapons as you possibly can. Heading down leads to a trail. 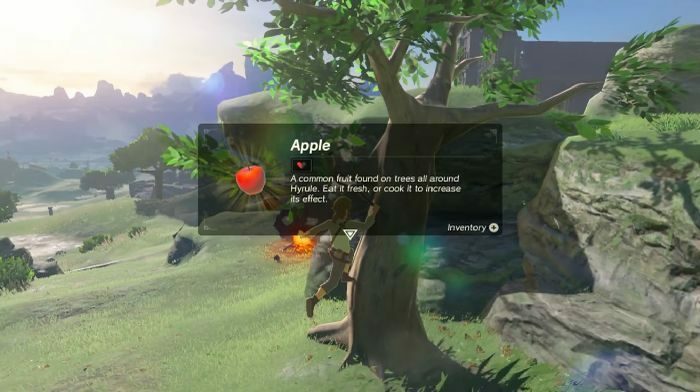 Take the Apple and Hylian Shroom that you may pass by as these help replenish any health points that Link loses during combat. It is better to have these in excess. Eventually you will encounter an Old Man who has set camp. Speak to him to learn more about your location and possibly get your bearings. 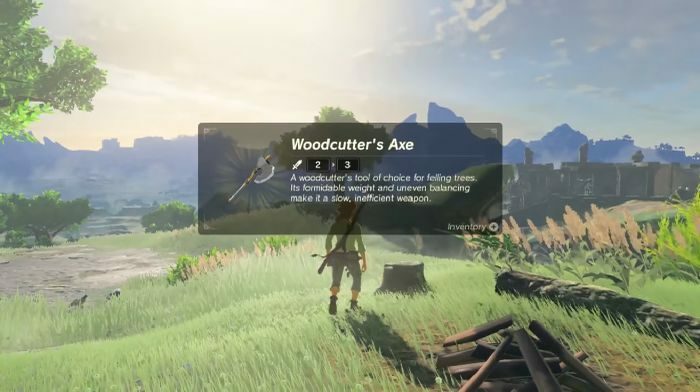 After the chat, check the Torch fixed on the wall then examine the Woodcutter’s Axe to add it also to your inventory. These materials do not only double as a weapon but have their own functionalities as well. Pay attention to the Sheikah Slate. However, it is advised to get to the ruins near Temple of Time since it houses several goodies for you to collect, one of which is an Armor. Be wary of facing the first wave of enemies, the Bokoblins as you proceed. 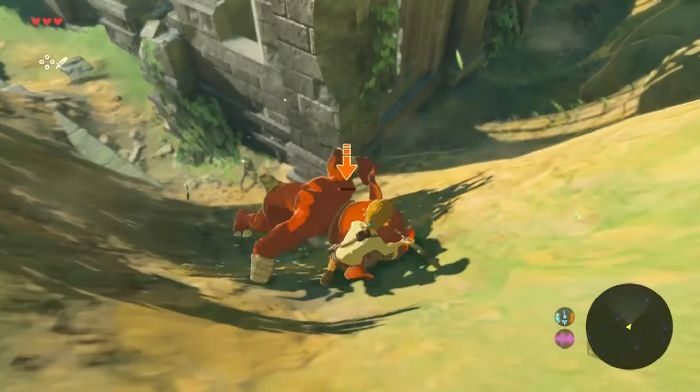 It is possible to use different fighting styles, such as opting to dodge by timing precisely as they deliver an attack, or using the Shield to either execute a parry or deflect their ranged attacks. Defeat them and they may drop Boko’s Shield or a Traveler’s Sword.